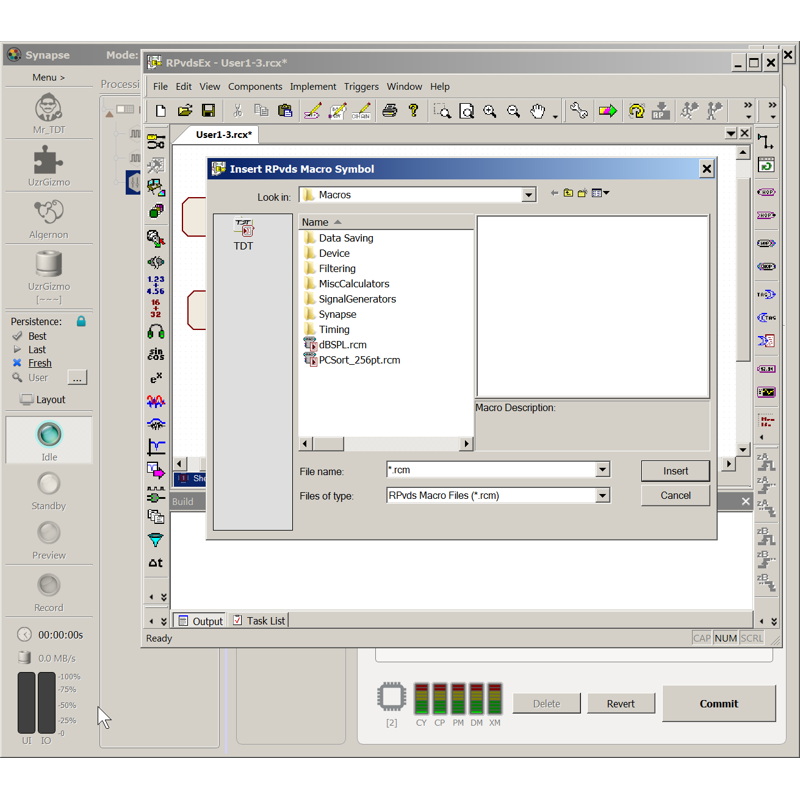 Short videos to provide quick tips and tricks when using your TDT system. 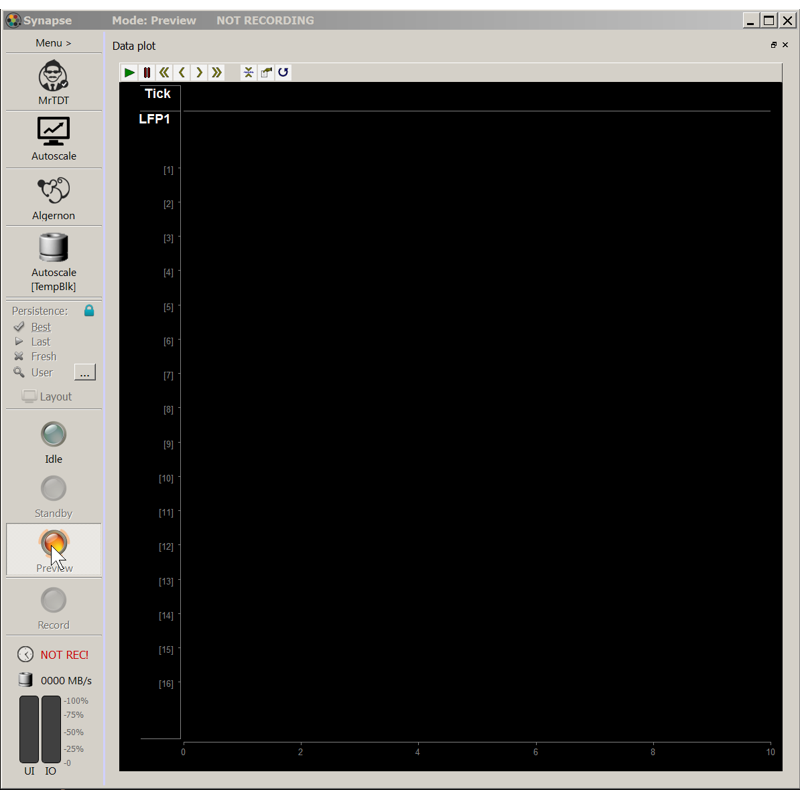 Accumulate the total RMS of an LFP signal every second. 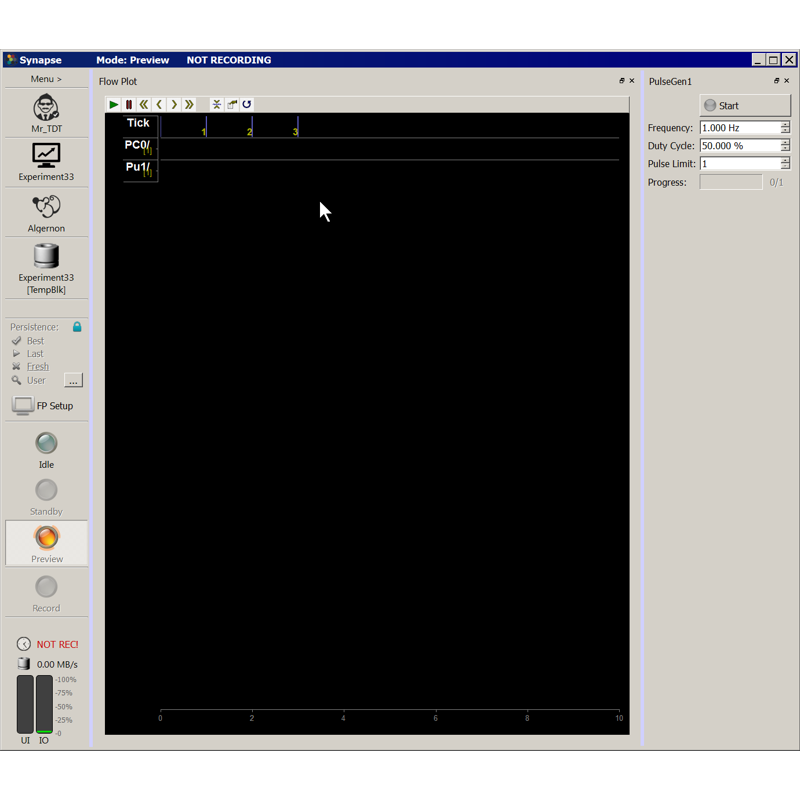 Present an auditory stimulus if total RMS exceeds a threshold. 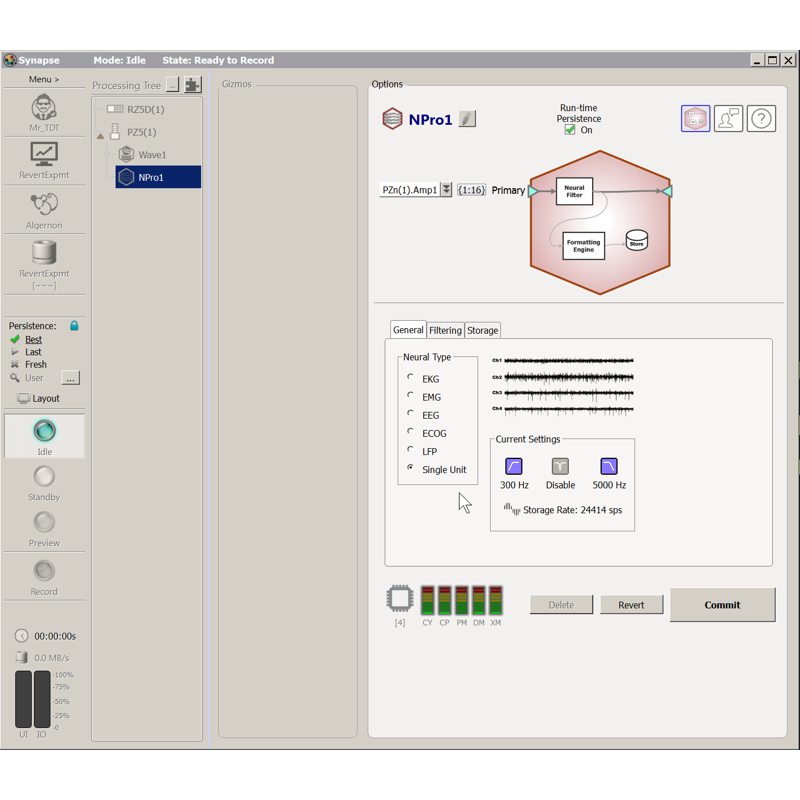 Learn how to create channel maps using the Mapper gizmo in Synapse. 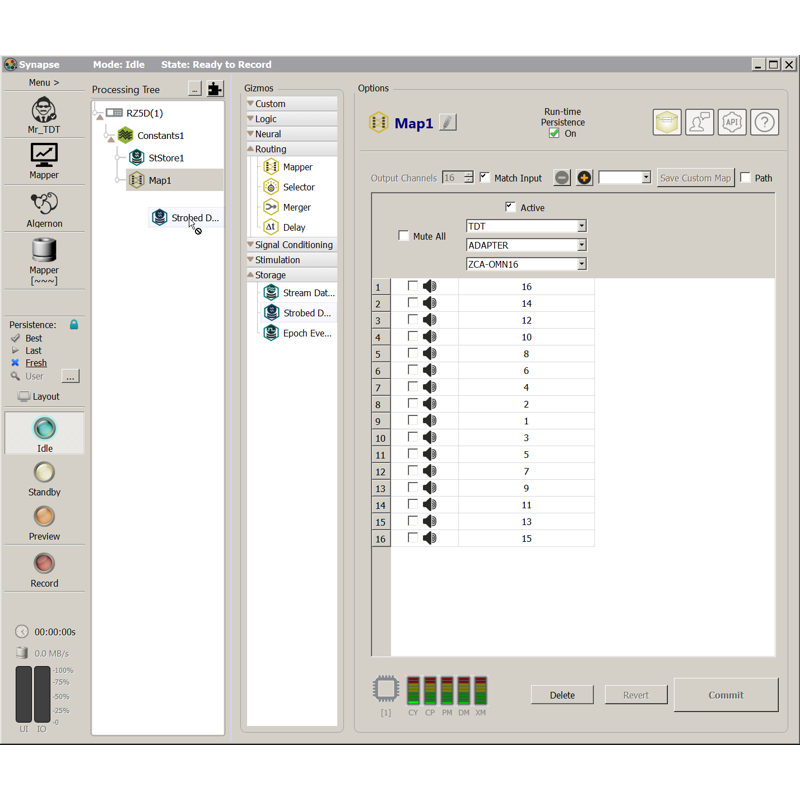 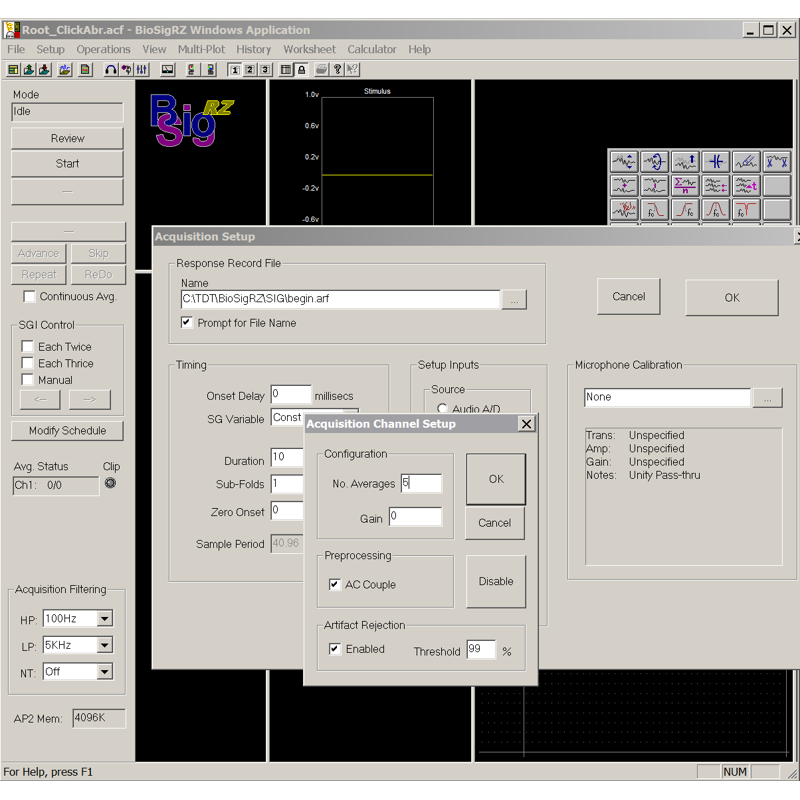 Select map based on adapter, electrode, or headstage to route signals to the proper channels. 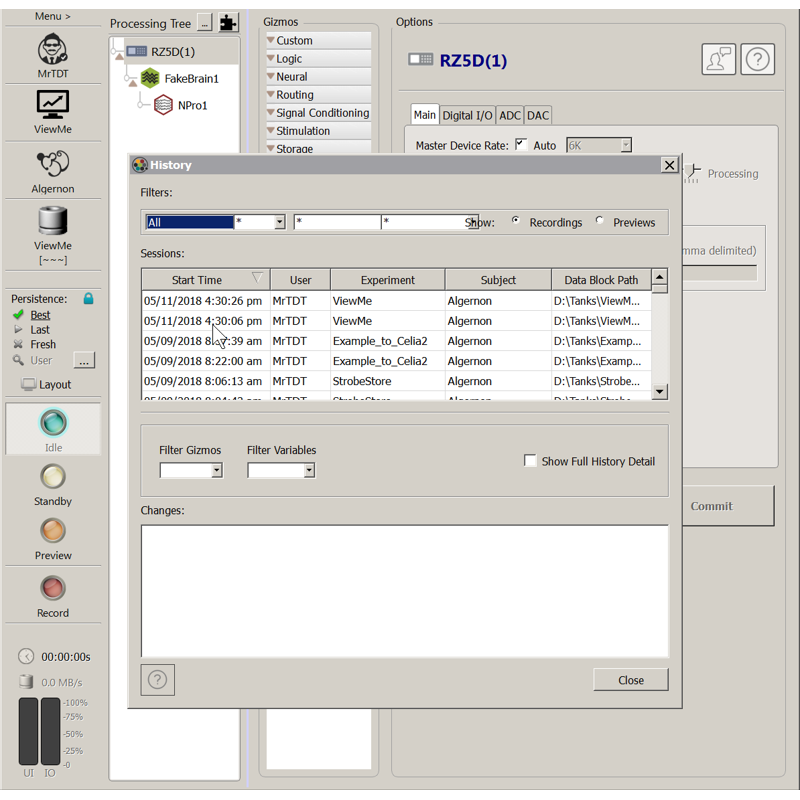 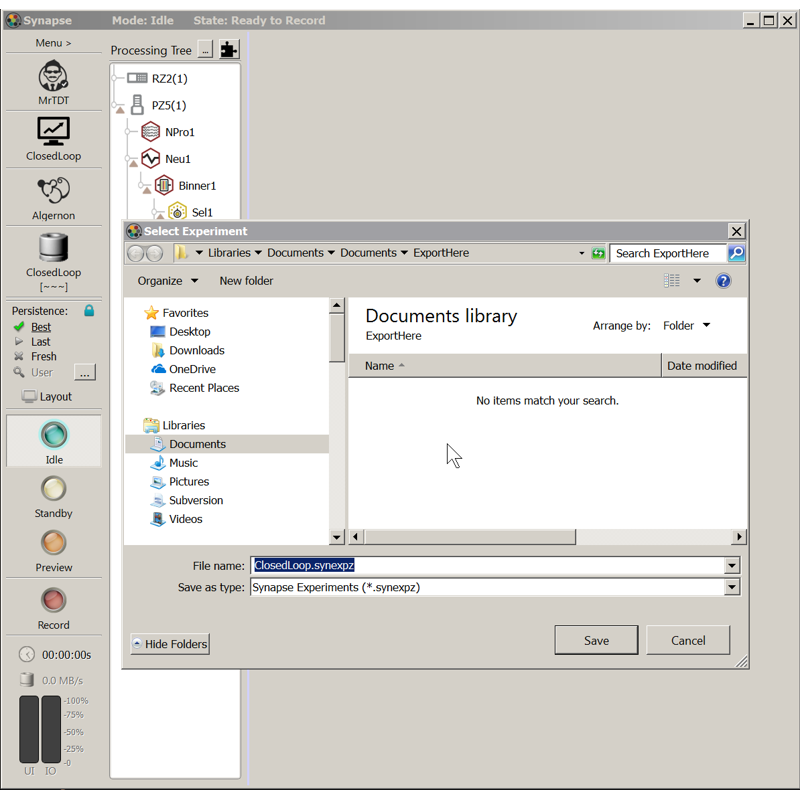 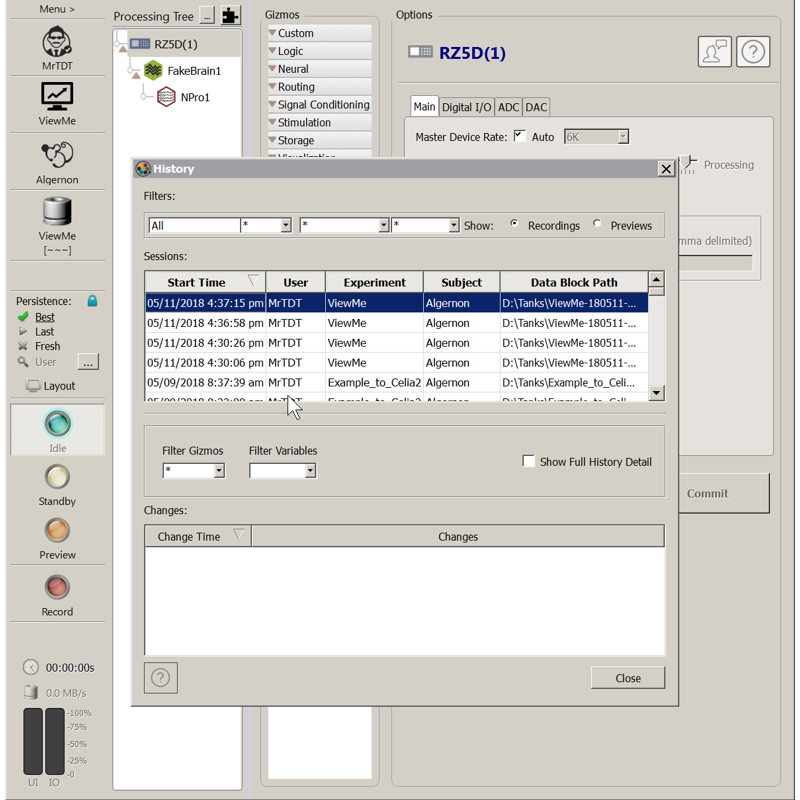 Use the Neural Referencer Gizmo for simple single channel digital referencing. 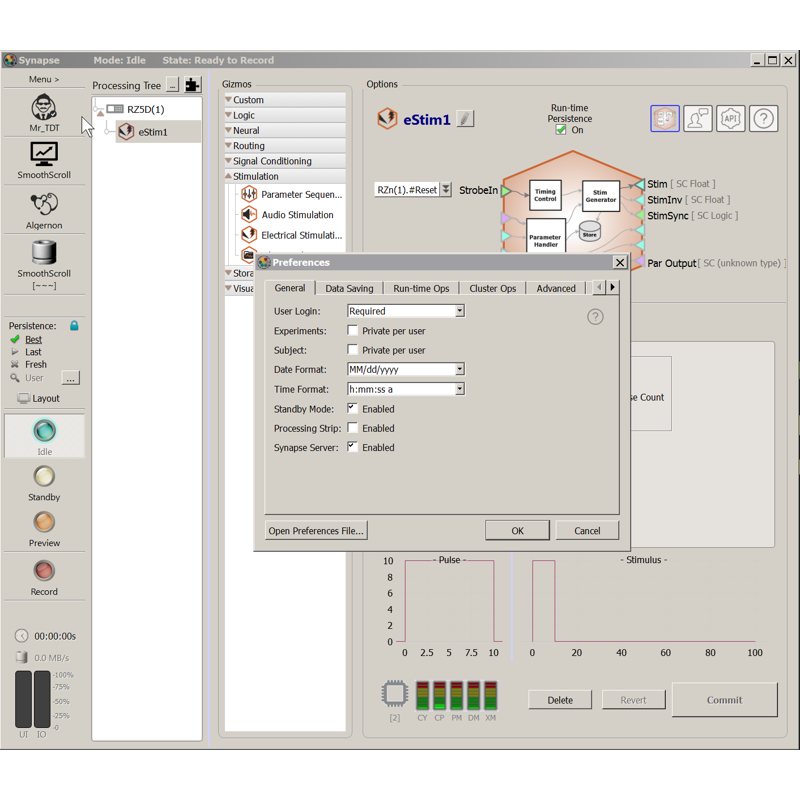 Use the Neural Stream Processor Gizmo for easy multi-option filtering and storage of data streams. 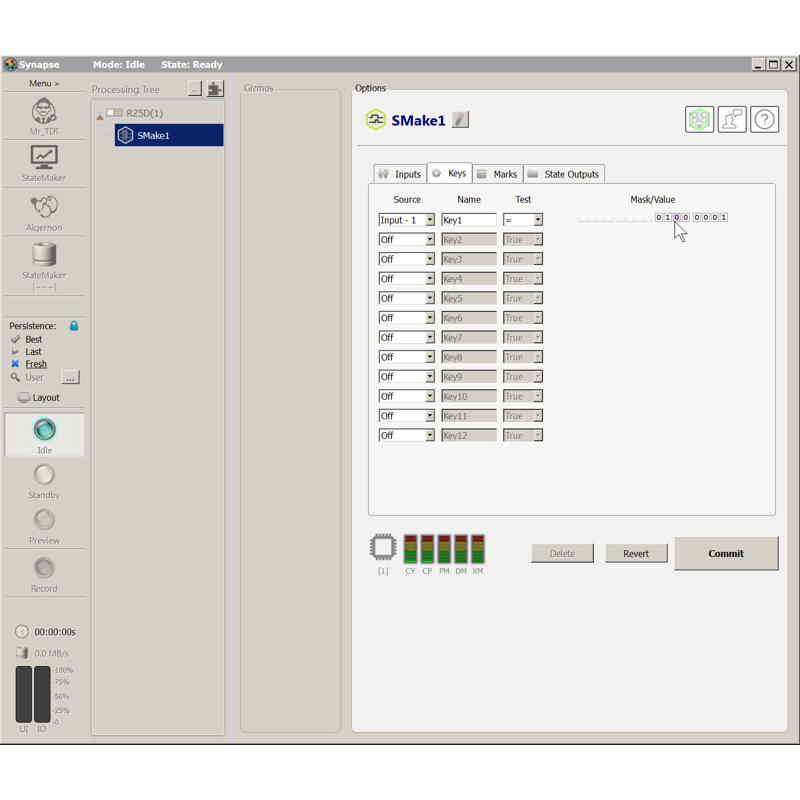 Also see how filters can be controlled during runtime. 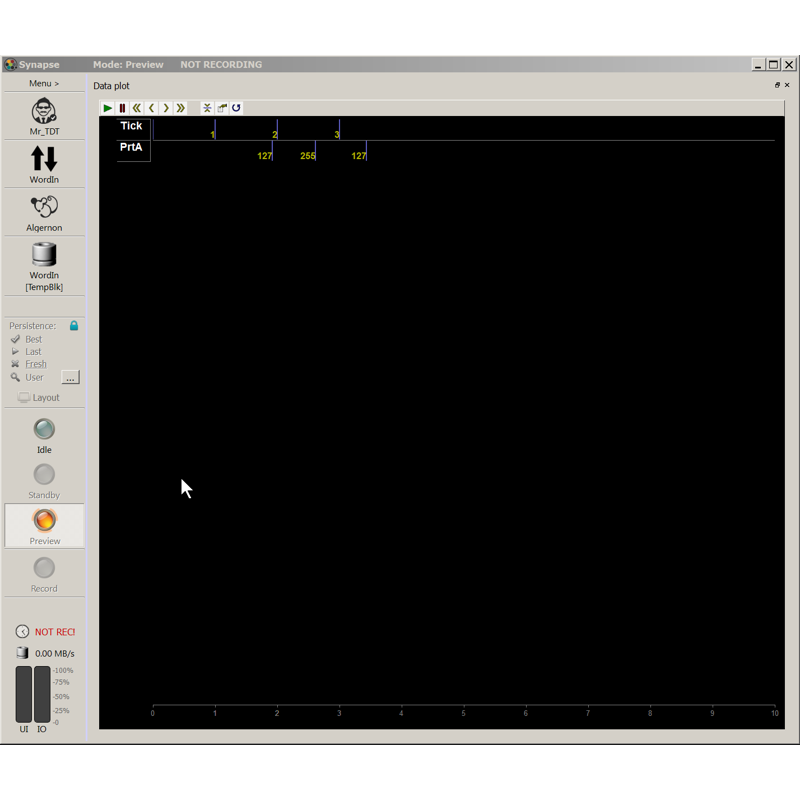 Use the Pulse Generator Gizmo to make dynamically-controlled pulse trains that can be output at TTL signals to control external devices like lasers. 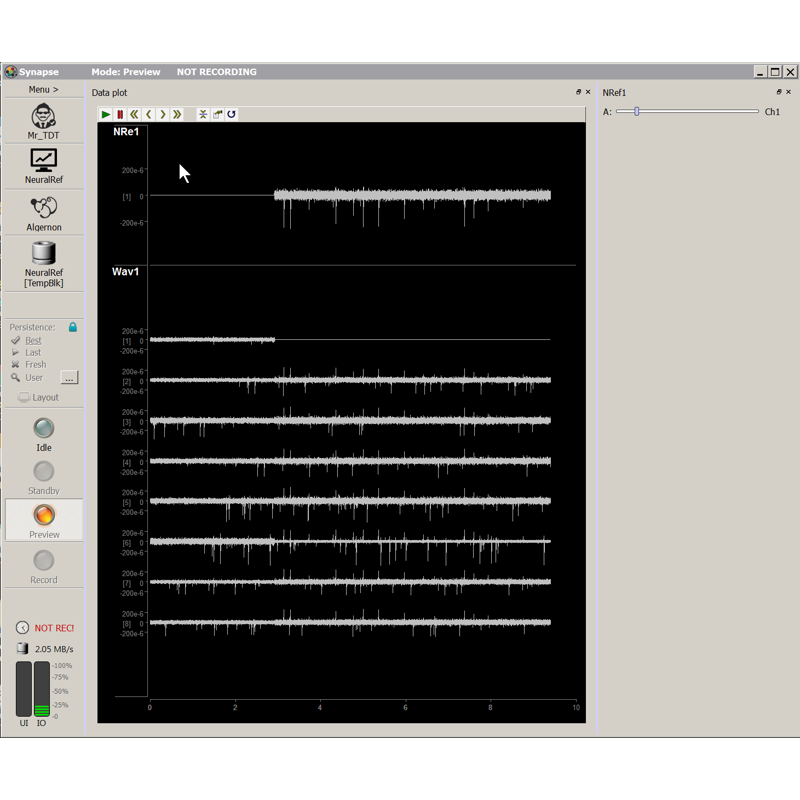 Learn how to revert back to old experimental setups after making changes in Synapse. 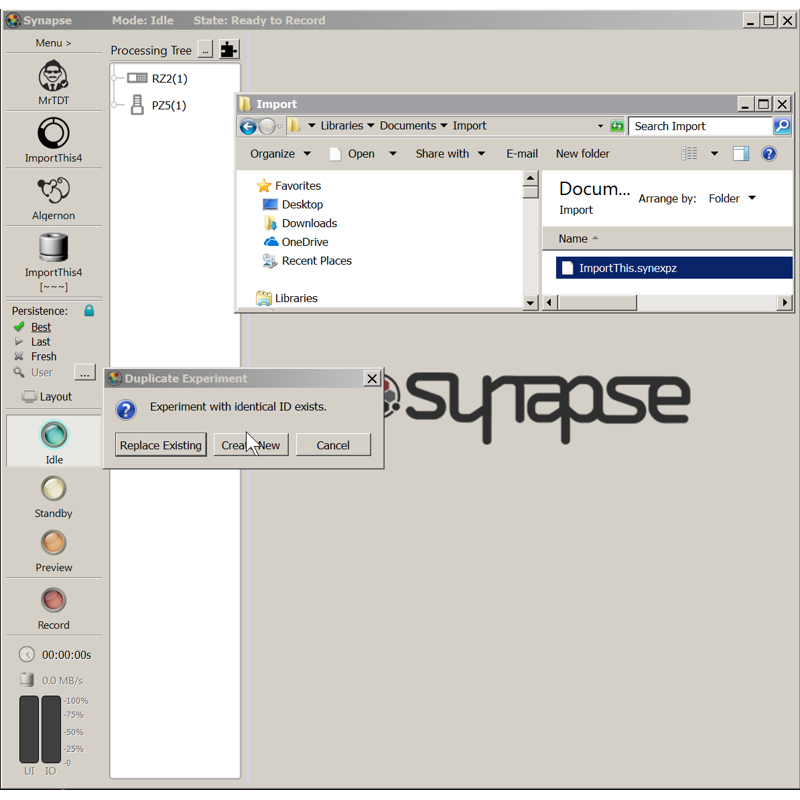 Learn how to add run-time recording notes in Synapse. 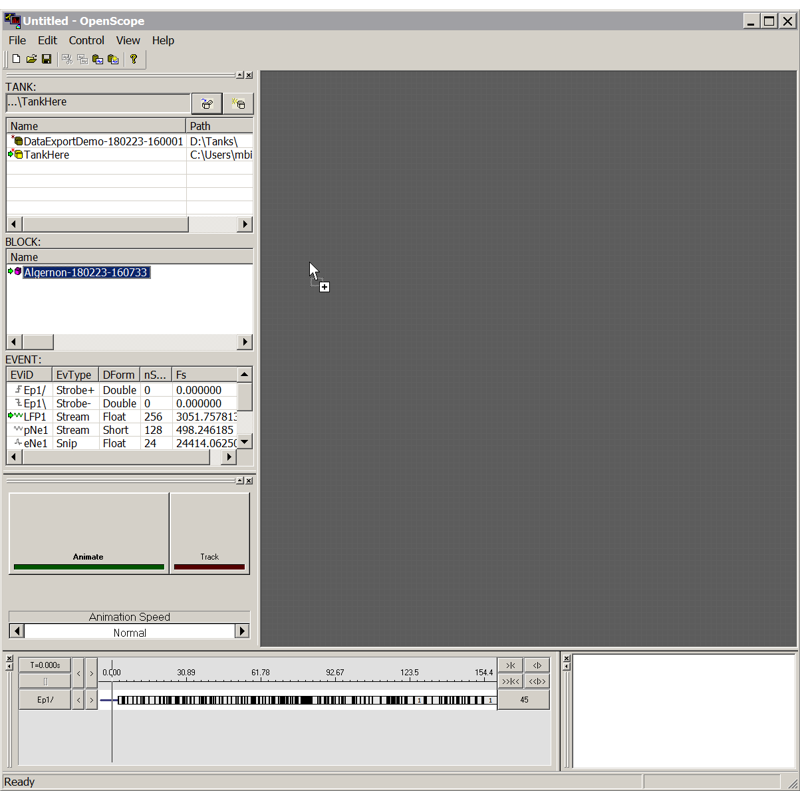 View notes.txt files on disk. 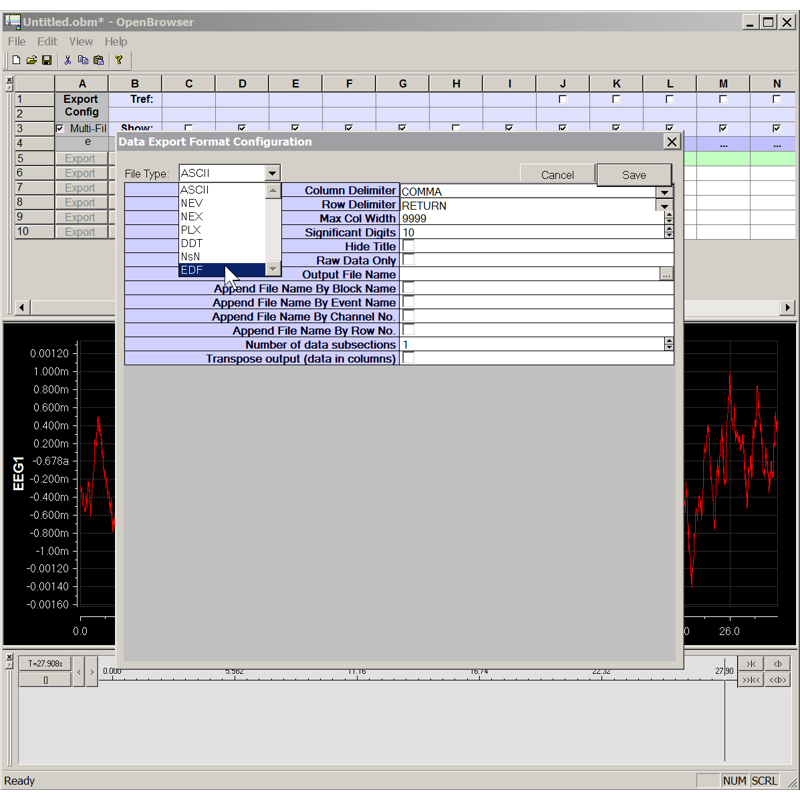 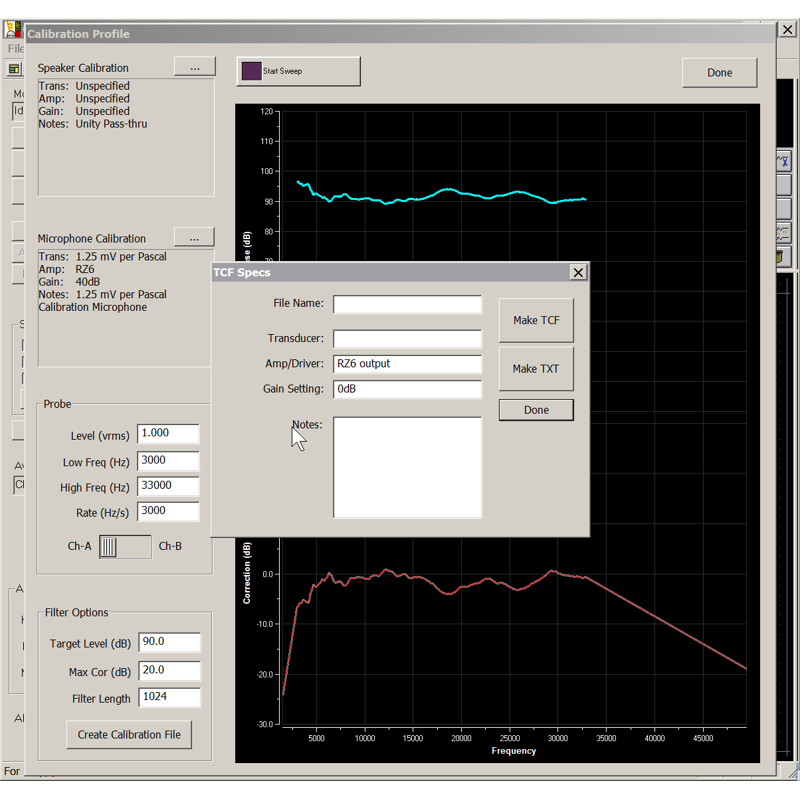 Smooth Scrolling creates a 1 second visual delay in the Data Plot. 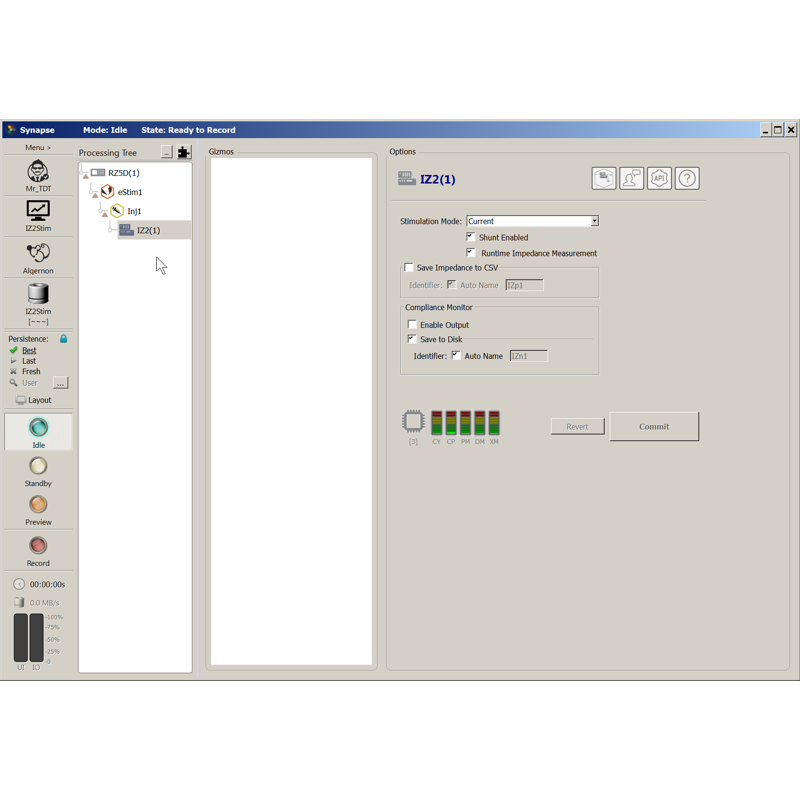 Enable/Disable smooth scrolling from Preferences. 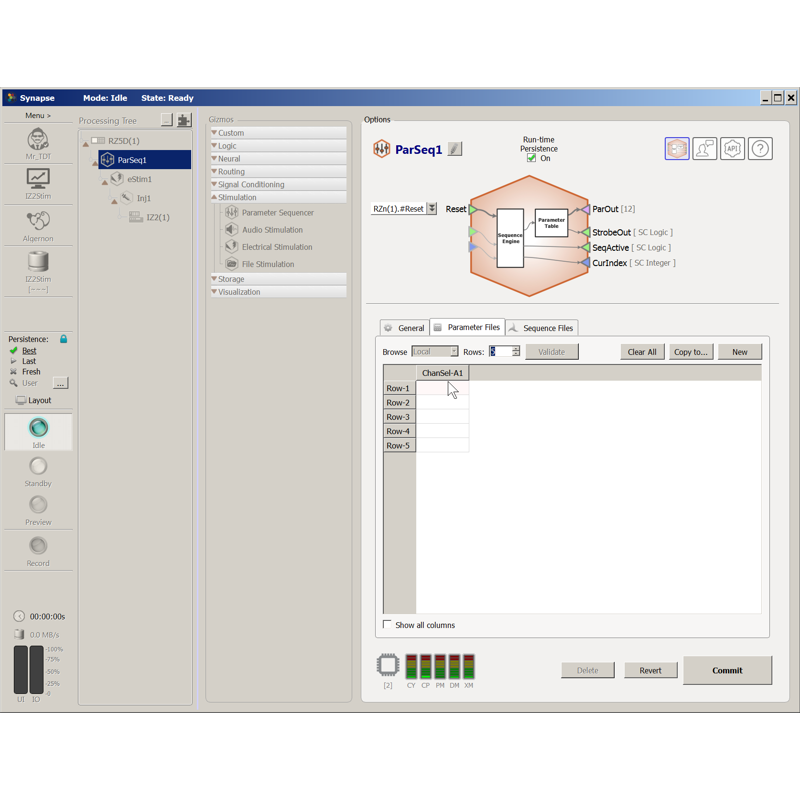 Learn about where Synapse backs up the experiment and persistence settings database and last experiment settings. 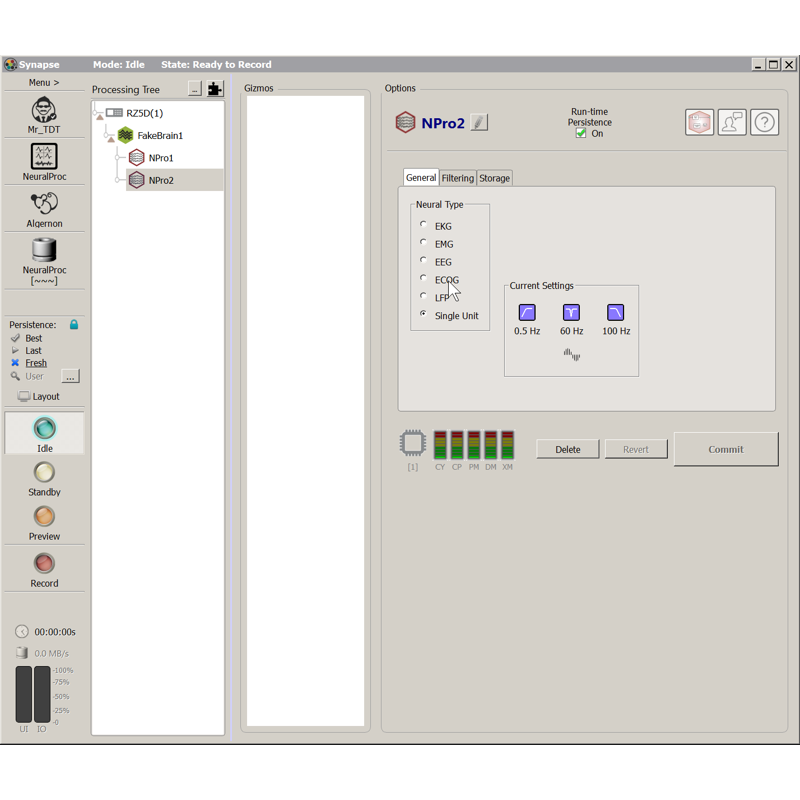 Use the User Input Gizmo to make user-defined triggers via software buttons, or to receive TTL bit inputs from the Digital I/O. 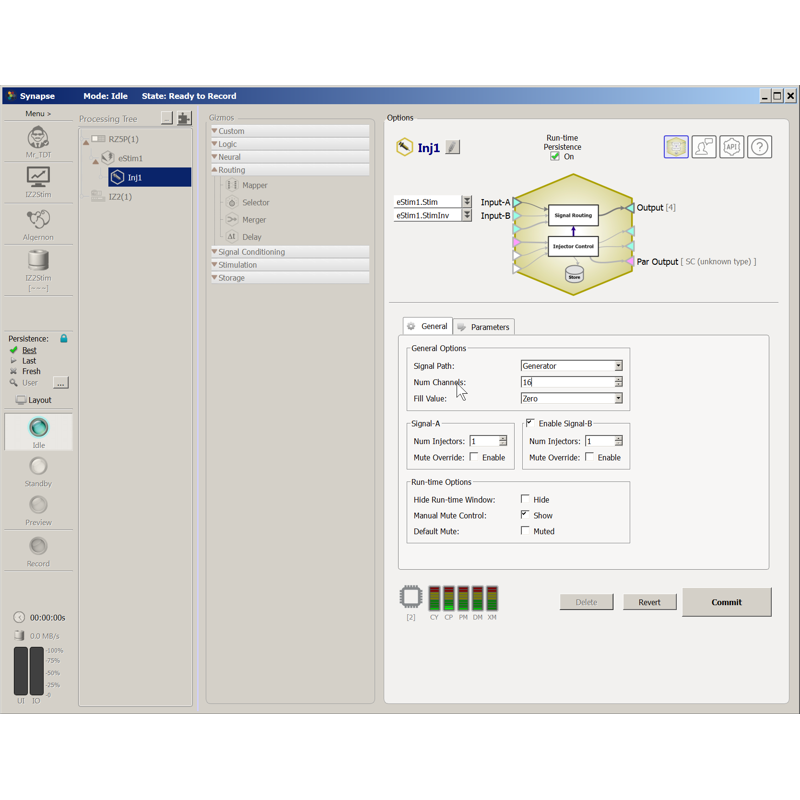 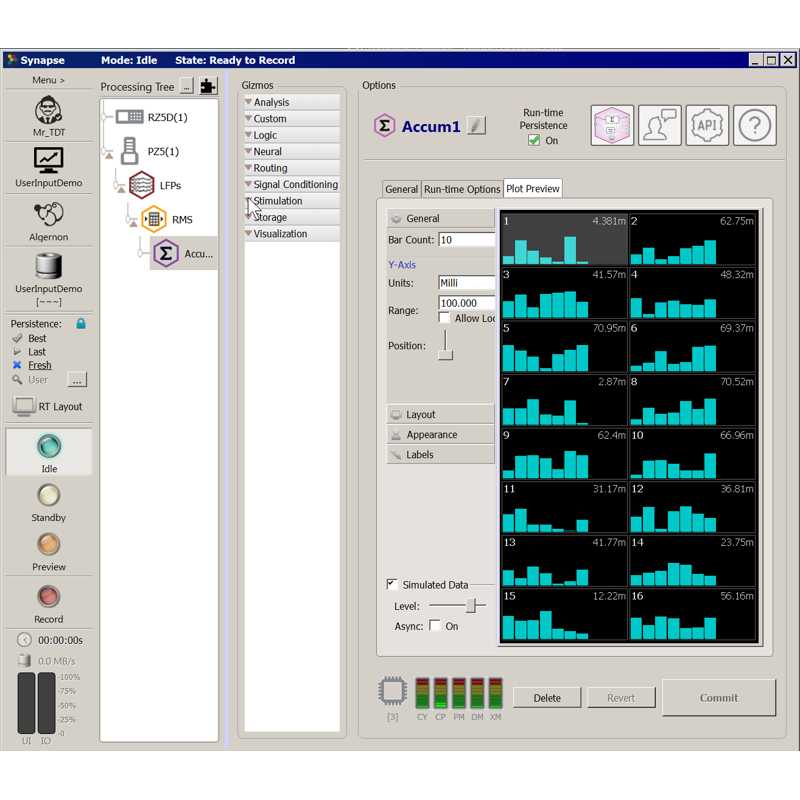 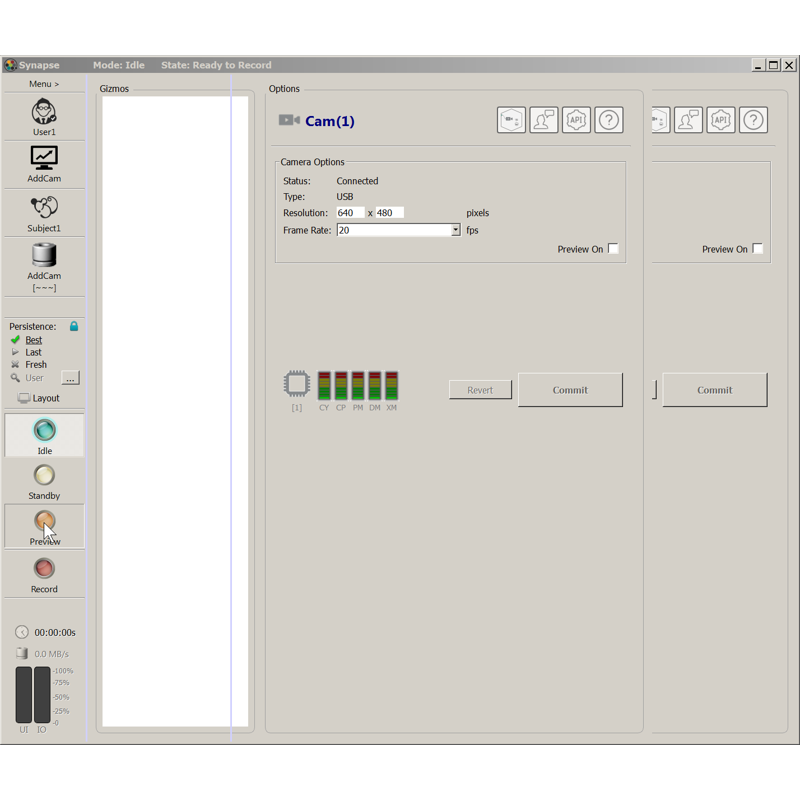 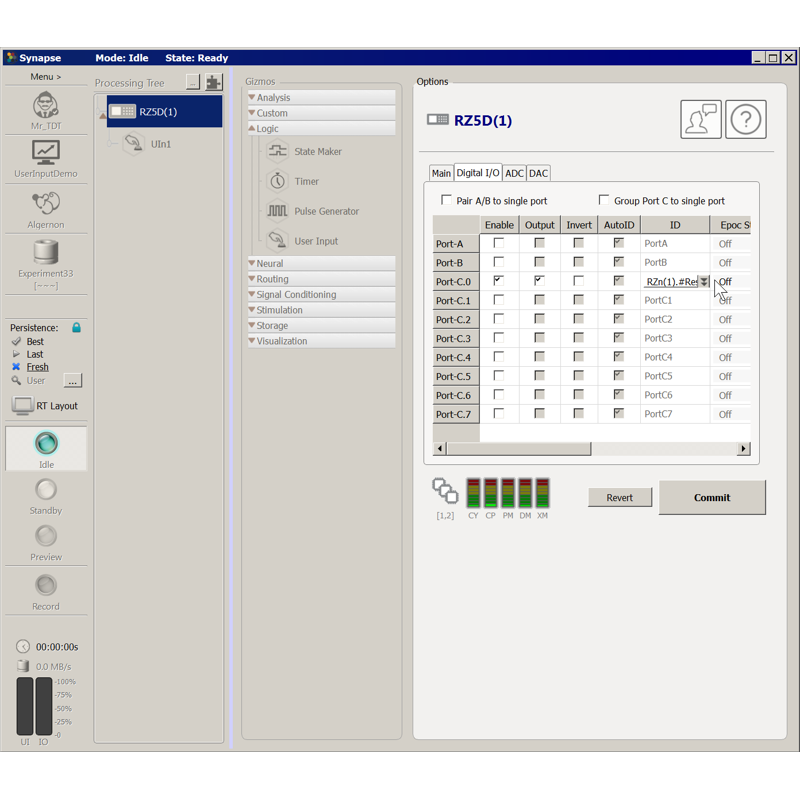 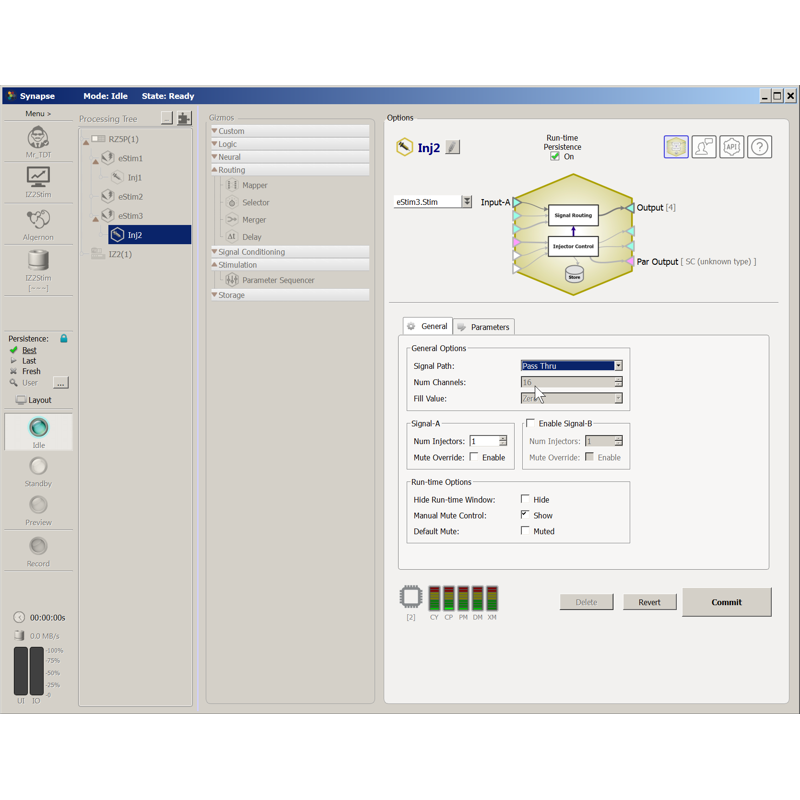 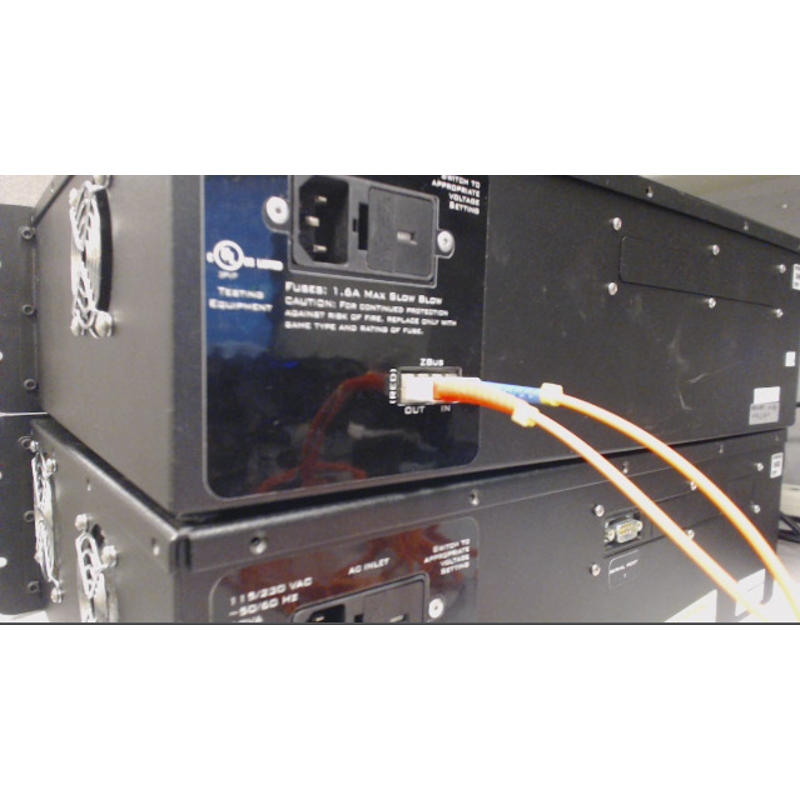 See how to connect multiple zBus devices by daisy-chaining the fiber optic communications from the PC (PO5e) to the processors and back. 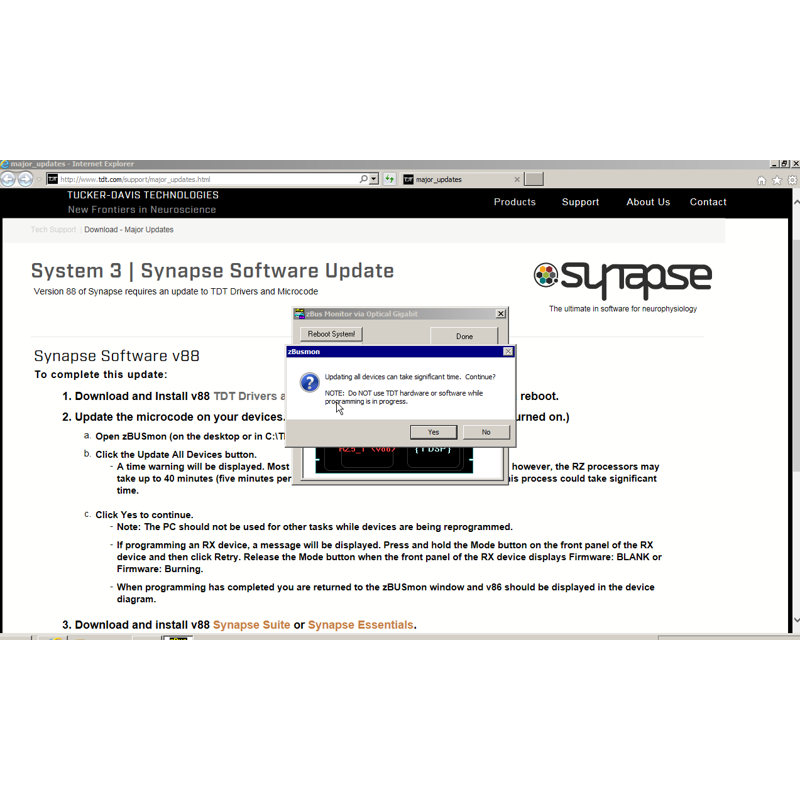 Update Synapse through Menu > About. 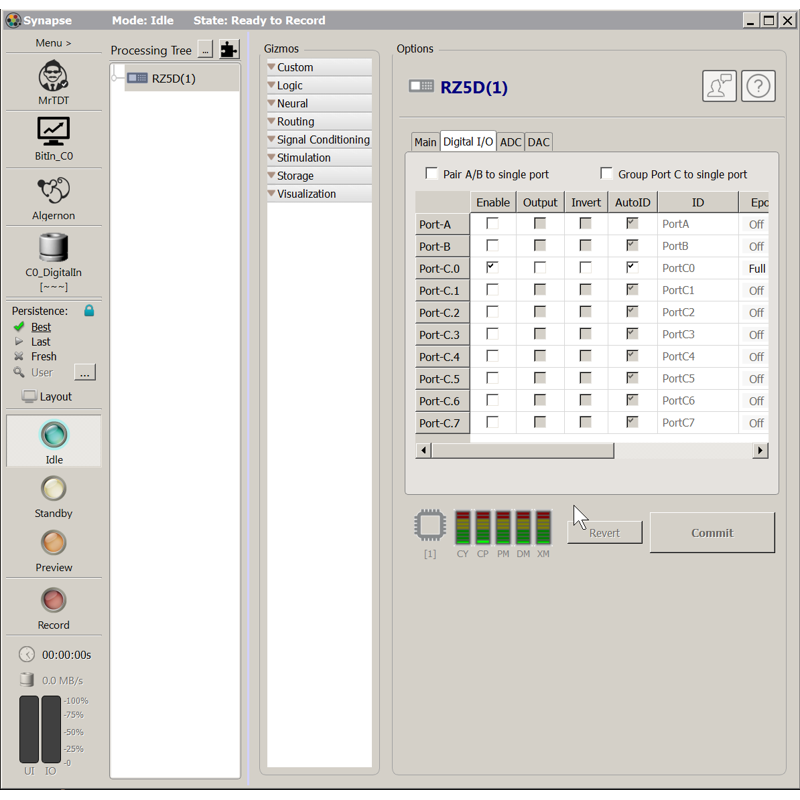 Update Microcode in zBusMon and test hardware. 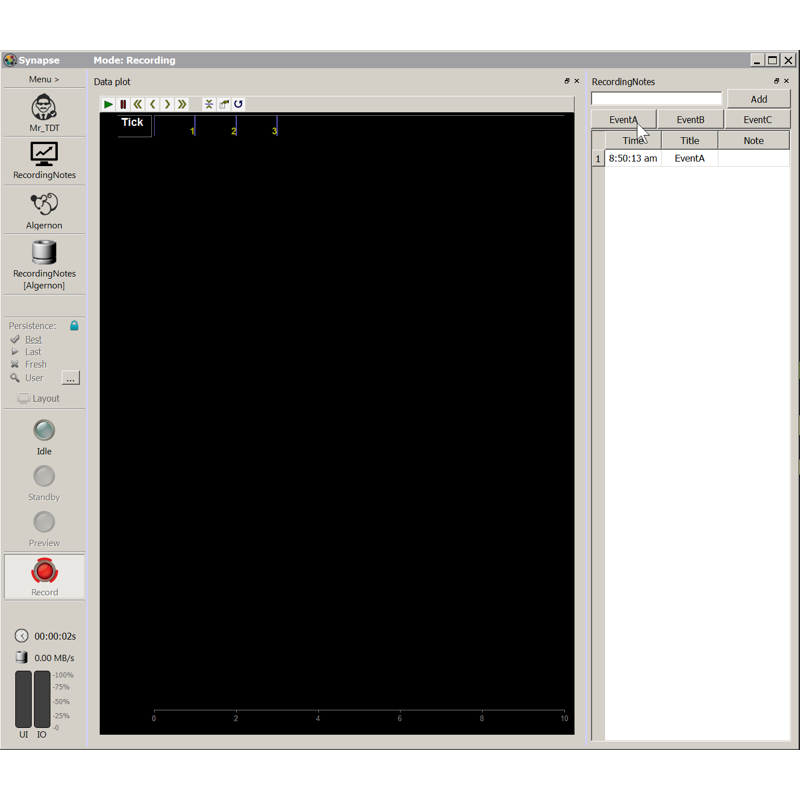 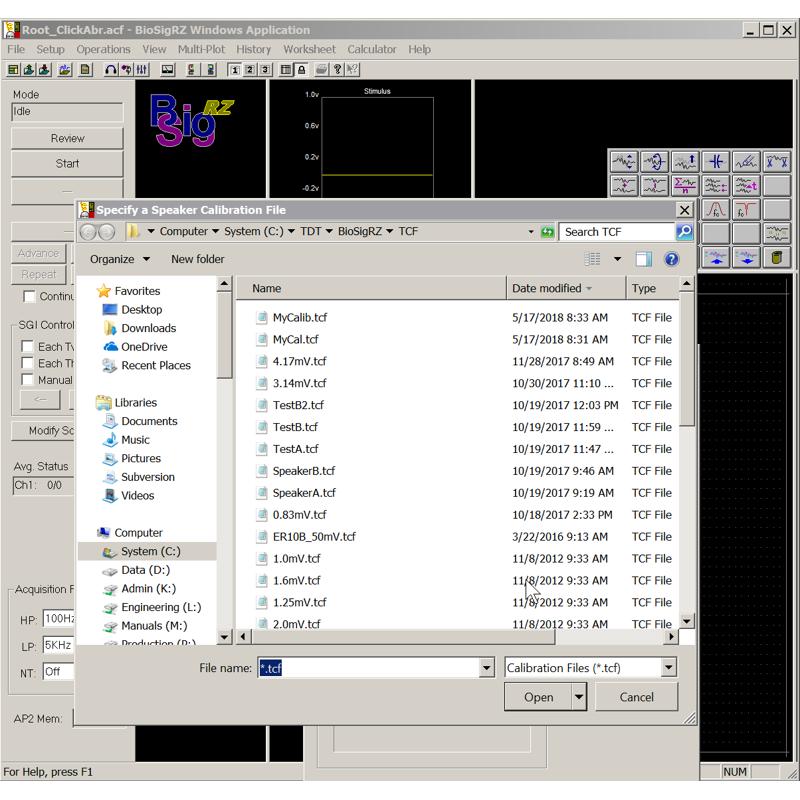 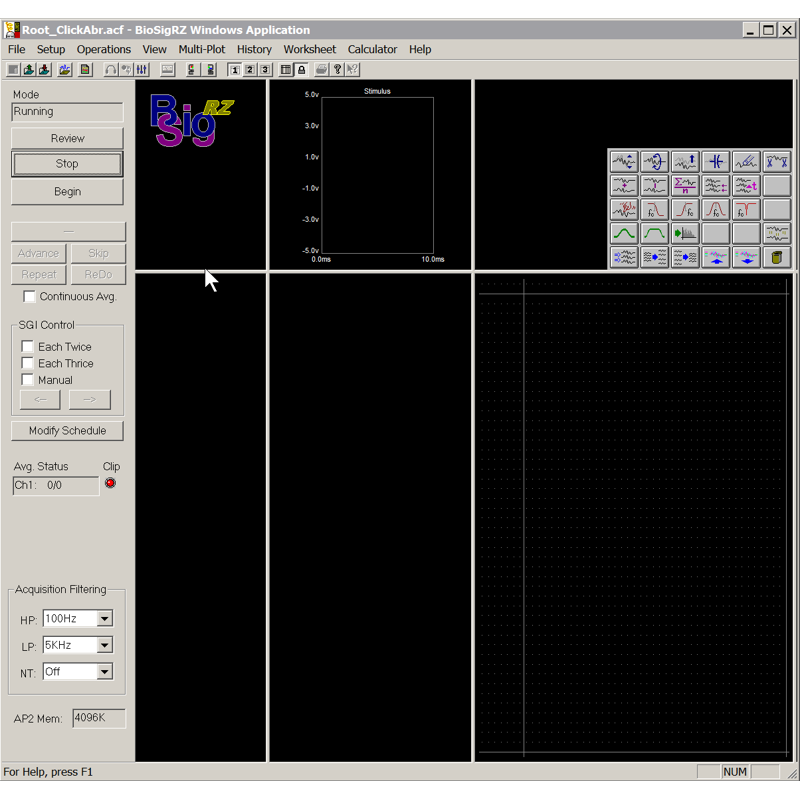 See how to add a QDSP or DSP card to your RZ processor and check for connectivity in zBusMon.